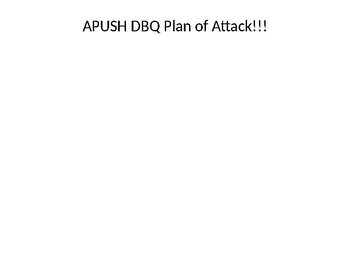 A single page 5 step process to approaching the APUSH DBQ. 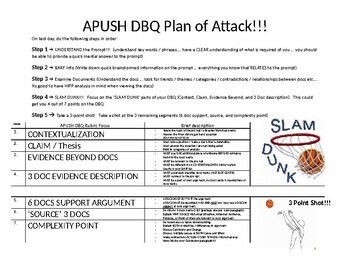 It includes ALL components of the DBQ Rubric. This document is used by my students to prioritize their DBQ writing. It breaks down the 4 'easiest' points to work on and the 3 most challenging. I couple this with a DBQ template.